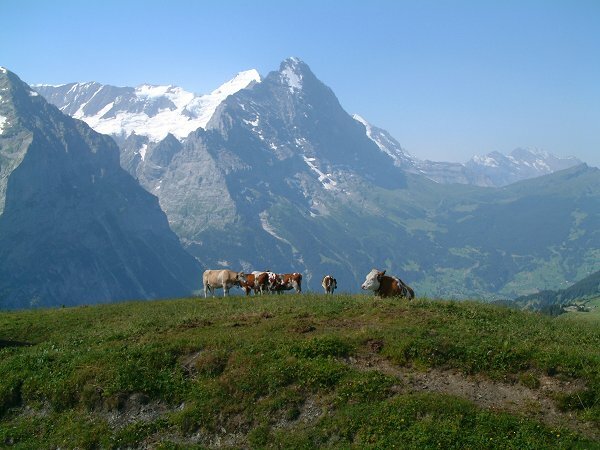 It takes about 30 minutes to Grosse Scheidegg �i1962���jby bus from Grindelwald. Today I have to leave to Munich again. This route is the optimum one for the last tour. From Grosse Scheidegg to First. Eiger (3970m) and Moench (4107m) on the background. After making the last lunch at the restaurant of First, it started to become cloudy and started to rain in the afternoon.